Meeting with local administration and local was arranged to do awareness campaign. locals were trained to ski down they were provided free skies equipment, ski lessons and free lunch. The skiers took great interest in new sport skiing. At was so amazing that one day the skiers put on their skies and only one small ski boot and one long ski left. We were busy in skiing. 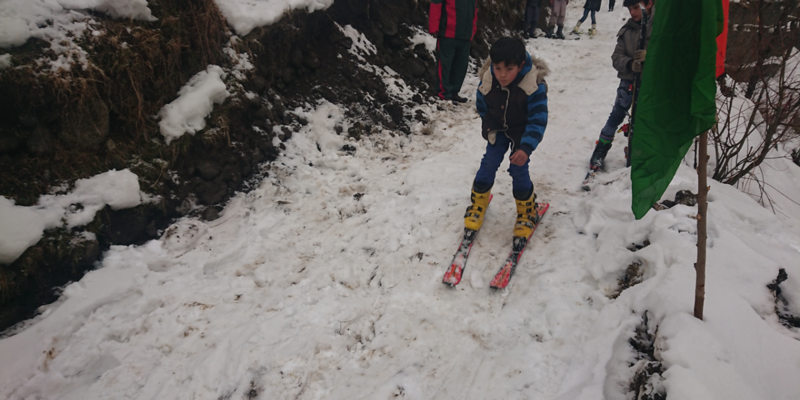 A youngest child took the ski boot long ski and strated to put-on skies. The boot was small and the ski binding was long it was difficult to fit the boot in the binding. He himself put the binding down in lock position and insert the boot in the binding. It was perfectly fit. He did his first ski trip without fall. All the skies supported his efforts. His photo is in picture 2. 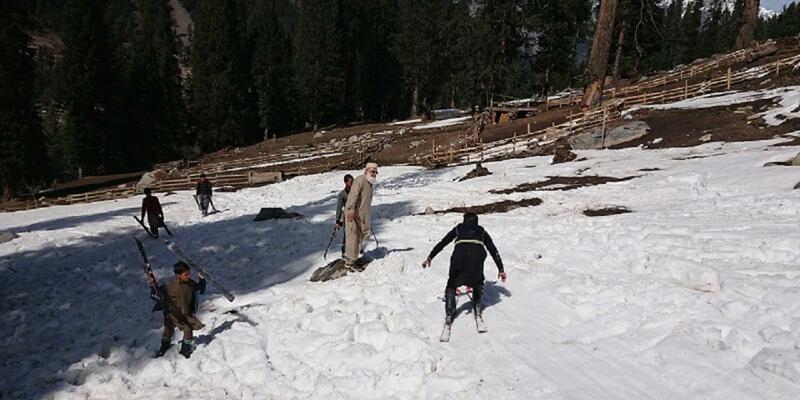 Free run conducted among the skiers. The skiers shown good control and speed were give prizes. 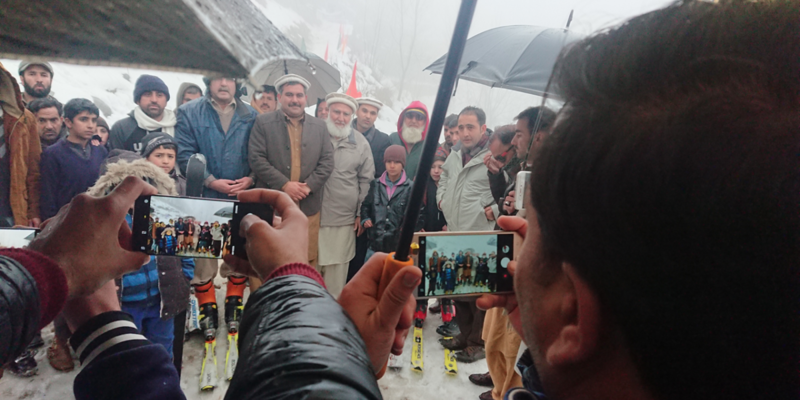 Gift were distributed among the skiers. Press coverage and Social media coverage was given to the event. The locals and skier praises the arrangement and introduction of new sport skiing in the area. 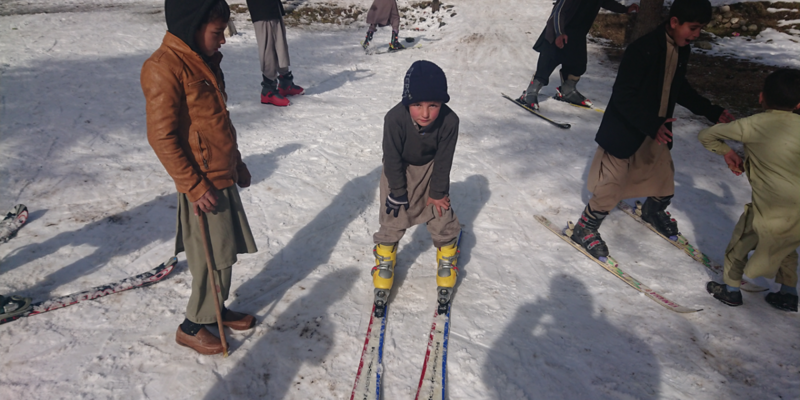 The skier of down valley were provided with free transport for pick and drop.